Crema Espresso has proudly opened their first store in Ipswich at Silkstone Village. The store has continued styling with the fresh and laid-back feel that has become synonymous with the brand. 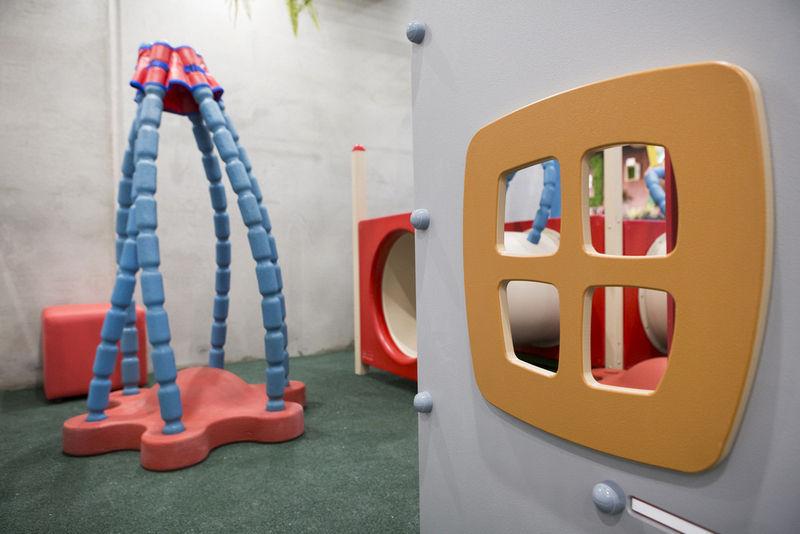 With the expansion into Silkstone, Crema has again offered parents the chance of some peace and quiet with the inclusion of the Crema Kids playground. The new location is situated at the entrance to the centre with ample parking and plenty of room for catch up with friends and family. This has not gone unnoticed by leasing agents for some of the major shopping centres with Crema Espresso being offered premium locations for its new stores. The proud Queensland brand has grown to 18 stores with several scheduled to open later this year. Whilst this is a steady growth, Crema Espresso is not prepared to jeopardise the quality of its brand or its relationship with its franchisees, “We do not want to open 100 stores; we would rather open 50 exclusive outlets where our franchisees are recording strong revenues and profits. Unlike some other systems, we want franchisee business partners, not hostages,” said Mr Forbutt. When recruiting new franchisees, Crema is always looking for community minded people. The business believes that this mind set and attitude brings a warmth and connection to customers that is invaluable. This is something that is also practiced at a brand level with ongoing support of the charity MND foundation, raising money to find a cure for the devastating Motor Neurone Disease. This year Crema has also joined forces with the children’s charity 4 ASD Kids, founded by ex-NRL star Mat Rogers and wife Chloe Maxwell. Already this year Crema sponsored the Brisbane to Byron bike ride that was held to raise money for both charities. ‘Crema Friends’, the brand’s training program, uses this philanthropic ideology to underpin its approach to connecting to the local community. The training program follows a simple premise: treat the people in store like you would treat your friends. The Crema Friends system has three levels. ‘Friends’ are the people in the business, ‘Neighbours’ are the other people and businesses in the shopping centre and then the wider ‘Community’. “The people who visit our stores are our friends. We don’t like using the word ‘customer’. Our stores are communal places where friends come together to meet. We operate using the mantra: coffee is the souvenir of the experience,” said Mr Forbutt. Crema Franchise system has benefitted from this attention to detail and personal approach. There is a mystery shopper program that provides franchisees with a critical insight into how their customers experience their store and service. Crucial when word of mouth business is such a high impact marketing tool. This customer experience approach is supported with a loyalty program that rewards return customers and incentivises new customers into becoming regulars. Each transaction accrues a ten percent value on the loyalty account that can be redeemed at any Crema Espresso store. Behind the scenes much of the team training and internal communications are provided through an online platform, ‘Bean Me Up’. It uses the cloud-based World Manager software suite that connects with every employee and provides them with online training. It allows for monitoring of employees to ensure they have completed courses such as food safety and quality control to the required levels. Store managers can see all the mystery shopper results, notices, a calendar of events, employee performance results, messages and links to social media. Managers can monitor the performance of employees any time from a phone application. The entire franchisee training program is on the intranet and all manuals and files can be accessed at any time. Face to face mentoring is also provided to franchises. Best Practice Franchise has been engaged by Crema Espresso to coach and review stores performance. All franchisees meet with a business coach for two hours every quarter to review and assess their business performance. Each franchisee is reviewed against a rating system and are provided benchmarks to compare their operations against other stores. This system is proven to be beneficial in the improvement and profitability of all stores. At Crema Espresso, extensive training is in place to enable the success of your business. Your initial training will have you focused on whole store management. Then ongoing training and support will be assessed and delivered through your quarterly business reviews conducted by Crema Espresso and the consultancy firm Best Practice Franchising Pty Ltd. Crema Espresso are looking for hands-on franchisees. If you possess motivation and great communication skills, are looking for a new challenge, not afraid of rolling up your sleeves, and enjoy being around people in a communal environment, then Crema Espresso is for you. We all know the feeling of that glorious first sip of a morning coffee. If you are like most coffee lovers you’ll savour the second, third or even forth cup of the day too. But the deceptively simple ritual is a complicated chemistry lesson that relies on a myriad of variables to create deliciously complex flavours. One of those variables is the grind. At Crema Espresso we always grind on demand. Coffee unlike a good wine does not age well. The instant the surface area of the bean is broken down in the grinding process, factors such as oxidation begin to slowly destroy the aroma and flavour profile. Essentially the coffee becomes stale. By eliminating the time from grind to machine, the bean and its often volatile elements are respected and nurtured to produce the best coffee. This Saturday Crema Main Beach will host a treadmill challenge raising funds for the children's charity Bravehearts. The 'Keep Carla Company Treadmill Challenge' is a fundraising effort created by Carla McKinney who is a national runner in the 777 marathon. Carla's goal is to raise $10,000. The 777 is a unique, annual ultra-Marathon that sees participants travelling across seven states, running one leg in each state each day over seven days. During the Saturday event at Crema Main Beach, supporters can run or walk for $1 per minute or simply grab a coffee and make a donation. Crema franchisees Andrew and Kathleen Hunt have reached out to the local business community and will be holding a raffle to continue the fundraising efforts. Funds raised go towards helping Bravehearts create child-safe communities via education and training programs to aide in the prevention of child sexual assault and specialist counselling services for children and families affected by child sexual assault. Crema Espresso joined hundreds of keen cyclists last Saturday for a 150km ride Brisbane to Byron Bay in support of two charities, MND and 4ASD Kids. The two charities encouraged riders to raise awareness and funds for their causes whilst joining fellow riders for a fun challenge. Crema has previously partnered with MND and ME to raise money to support the research into a cure for the devastating Motor Neuron Disease and this year is also joining forces with 4ASD Kids. 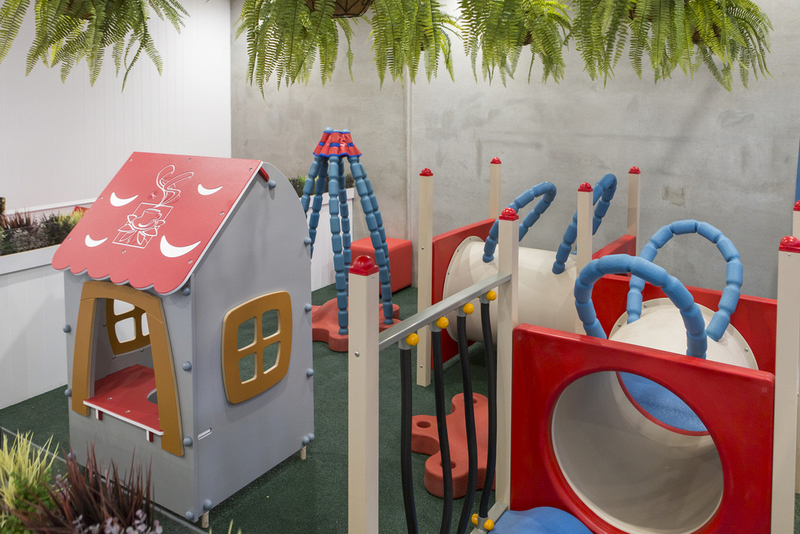 4ASD Kids was established by ex-Titans star and Commonwealth Games ambassador Mat Rogers, to help families to access critical programs for children diagnosed with Autism Spectrum Disorder. The ride this year had a distinctive ‘Aussie’ feel with the journey starting at the iconic Yatala Pie Factory and finishing up with a celebration supported by Stone and Wood Brewers. Donation boxes are still available instore at Crema Espresso (Brisbane-MND and Gold Coast 4ASD Kids). Crema Espresso offers customers premium coffee, light meals and most importantly an amazing experience. The stores are designed to be a meeting place for friends and families, incorporating a bright, sophisticated and modern shop design. The Gold Coast has proven to be a brilliant test market for the award winning franchise as the brand prepares to roll out nationally. Securing prime positions in high profile shopping centres, brand recognition and appreciation has meant new stores are opening to an existing customer base. “We establish new outlets in major shopping centres and premium locations as store branding is a key part of our appeal. We do not want to open 100 stores; we would rather open 50 exclusive outlets where our franchisees are recording strong revenues and profits. Unlike some other systems, we want franchisee business partners, not hostages,” said Managing Director Antony Forbutt. When it comes to recruiting new franchisees, Crema are looking for community-minded people with a lot of enthusiasm. They also need to have a sound understanding of business and understand there are risks involved but there can be rewards that come with it. Franchisees are encouraged to participate and involve themselves in the local community through sponsorship of events such as sporting and charity efforts. “We encourage our franchisees to get involved in the community as much as we can. For example, we supported 45 people who took part in the Gold Coast marathon, had 15 teams at the Noosa Triathlon, and recently supported MND and Me foundation by sponsoring and raising fundsand awareness for the charity bike ride from Brisbane to Sydney,” said Mr Forbutt. Best Practice Franchising has been adopted to review and coach the performance of all franchisees. All franchisees meet with a business coach for two hours every quarter to review and assess their business performance. Each franchisee is reviewed against a rating system and areprovided benchmarks to compare their operations against other stores. This system is proven to be beneficial in the improvement and profitability of all stores. Mystery shoppers are also utilised to provide vital feedback for franchisees. The program is used to give great insight into the customer’s experience which is crucial as Crema Espresso’s major source of new business stems from word-of-mouth. The franchise actively encourages all employees to treat guests as ‘friends’ rather ‘customers’. “The people who visit our stores are our friends. We don’t like using the word ‘customer’. Our stores are communal places where friends come together to meet. We operate using the mantra: it’s about the coffee and you,” said Mr Forbutt. Customers can join the loyalty program that is free to register. Members receive a free cup of coffee and are credited with 10 per cent for every purchase. This credited cash can be used to buy any item, in any Crema Espresso store. To further enhance performance and communication within the brand, Crema Espresso have implemented ‘Bean Me Up’, an internal intranet and communication system that connects all franchisees and employees. It uses the cloud-based World Manager software suite that connects with every employee and provides them with online training. It allows for monitoring of employees to ensure they have completed courses such as food safety and quality control to the required levels. Store managers can see all the mystery shopper results, notices, a calendar of events, employee performance results, messages and links to social media. Managers can monitor the performance of employees any time from a phone application. The entire franchisee training program is on the intranet and all manuals and files can be accessed at any time. The training program ‘Crema Friends’ follows a simple premise: treat the people in store like you would treat your friends. The Crema Friends system has three levels. ‘Friends’ are the people in the business, ‘Neighbours’ are the other people and businesses in the shopping centre. “We like to build a connection with our neighbours and build strong relationships with them. The third level is the Community. We believe in giving back to the community and helping the community where we can. “We are continually looking for innovations for the way we conduct our business. We started our Crema Friends internal training program to improve customer service; we implemented the business coaching system to help our franchisees perform better and we have implemented the Bean Me Up intranet system to better improve our internal communication,” said Mr Forbutt. With the recent launch of the digital community platform cremafriends.com.au Crema Espresso is not only your modern sophisticated local café but also a holistic communal meeting place. It is this innovation that has seen the brand continually evolve to provide the ultimate experience for their friends. Crema Espresso is a franchise that is changing the face of the café experience and customers appreciate the personal service that a friend can offer. At Crema Espresso, extensive training is in place to enable the success of your business. Your initial training will have you focused on whole store management. Then ongoing training and support will be assessed and delivered through your quarterly business reviews conducted by Crema Espresso and the consultancy firm Best Practice Franchising Pty Ltd.
Crema Espresso are looking for hands-on franchisees. If you possess motivation and great communication skills, are looking for a new challenge, not afraid of rolling up your sleeves, and enjoy being around people in a communal environment, then Crema Espresso is for you. The Kokoda Challenge is unlike any other endurance event. It asks participants to test themselves both physically and mentally while commemorating those who walked that fateful track, deep in the jungles of Papa New Guinea. The challenge is 96kms the same distance as the Kokoda track and the time limit is set in honour of the first Australian troops to bravely step forward, the 39th militia. This year, the event will be held on the 19th and 20th of July, again set in the beautiful but unforgiving Gold Coast hinterland. It is this year’s Kokoda Challenge that Crema Espresso will proudly have five teams competing. It is Crema’s biggest fundraising efforts yet with each team expected to raise a minimum $1500 to participate. All proceeds go to the Kokoda Challenge Youth Program. The Kokoda Challenge Youth Program operates over 14 months supporting teens 15-18 to not only contribute to communities in PNG but also back home. It is a cause that Crema Espresso Managing Director Antony Forbutt believes in full heartedly, “It is so exciting that Crema can be a part of such a brilliant program. It is about giving these young adults the opportunity to not only thrive and grow personally but to give back to communities,” said Mr Forbutt. Behind the Crema Espresso team efforts is Franchise Operations Manager Scott Page. A regular on the marathon circuit, Scott was drawn to the event and admits he has always wanted to compete, “I have always loved running and marathons, but I admit that I find them lacking when it comes to the team atmosphere. When you are competing in a race, you are out there by yourself, for yourself,” said Mr Page. When he found the Kokoda Challenge and the team spirit encapsulated by the motto, courage, endurance, mateship and sacrifice, he was sold. Crema will be fielding five teams of four, Alpha, Bravo, Charlie, Delta and Echo. The training efforts were launched and celebrated with a breakfast last month at the Kokoda Memorial, Cascade Gardens, Surfers Paradise. It is only the beginning of the journey which will see team members follow a gruelling training schedule, only lightened by the great cause and Scott’s infectious enthusiasm. “Scott’s enthusiasm is unrivalled and we will need that during our first big group training session, climbing Mount Warning,” said Mr Forbutt. Crema Espresso has launched its teams that will be competing in the Kokoda Challenge, at a breakfast event today. Crema will have five teams participating in the endurance event held in July, raising money for the Kokoda Challenge Youth Team. Managing Director Antony Forbutt explains the challenge will see teams of four battle the 96km Gold Coast hinterland course, in a time limit of 36 hours, promoting the values of courage, endurance, mateship and sacrifice. “It will be a monumental effort to get all teams across the line but it is for an amazing cause, supporting these young people and their inspirational goal in helping not only their own community, but those in Papua New Guinea. “Each team will have to raise a minimum of $1500 just to participate in the event, and with five teams signed up it is one of Crema’s biggest fundraising efforts yet,” said Mr Forbutt. For further information on Crema Espresso franchises, please contact Crema Espresso. A fresh new menu is now available at all Crema Espresso stores, introducing new favourites to customers. Famous for their coffee and light meals, Managing Director Antony Forbutt explains that the new menu has been designed to enjoy catching up with friends and loved ones. “The warmer months of the year are for socialising, whether it be a quick coffee or a meal while shopping, there is something for everyone on the menu. We try to stay away from the traditional coffee shop food and take pride in offering fresh and light alternatives,” said Mr Forbutt. Crema Espresso is found across South East Queensland, including locations in Brisbane, Toowoomba and an upcoming store in Parramatta NSW. Contact Crema Espresso for possible Franchise opportunities. Former Main Beach Franchisee Scott Page has been appointed Franchise Operations Manager Crema Espresso. As a long time Franchisee, Scott Page brings a passion and love for the brand as well as experience. “It was a perfect fit. Scott has lived and breathed the brand for years and has gained a respect not just from myself, but fellow franchisees and customers alike,” said Managing Director Antony Forbutt. Scott Page is an active member of the community, participating in many charity runs, marathons and triathlons. His next challenge is co-ordinating Crema’s teams in the gruelling Gold Coast Kokoda Challenge, mid next year. “I am so excited to be a part of such a vibrant business such as Crema Espresso. We are more than just a coffee brand. We want to be an integral part of the community and opportunities such as the Kokoda Challenge are a great way to do that,” said Mr Page. Crema Espresso is supporting the Gold Coast Bulletin Fun Run in the aid of ‘Aunties & Uncles’. Gold FM listeners have voted Crema Espresso the best coffee on the Gold Coast. Crema Espresso has successfully opened their first store outside of the Gold Coast signalling a move to bring their signature approach to Brisbane market. Managing Director Crema Espresso Mr Antony Forbutt said the move signified the demand for a high quality coffee experience. “Our customers have brought us here. The demand for a sophisticated coffee experience is strong and we’re excited about the future. “Westfield Carindale is the ideal place to launch Crema Espresso into the Brisbane community. It’s premium location and outstanding customer experience align well to our brand and customer promise. “Crema Espresso launched it’s first cafe in 2005 on the iconic Tedder Avenue in Main Beach on the Gold Coast. Our stores have grown from this original experience and retained the roots of community, modern sophistication and signature flavours. “The opening of our first Brisbane cafe comes on back of new cafes in Australia Fair at Southport and at Westfield Helensvale, both on the Gold Coast,” said Mr Forbutt. Crema Espresso is fast growing coffee brand with cafes across the Gold Coast and Brisbane. Crema Espresso offers customers premium coffee, fresh, light meals and excellent customer service. First launched in Main Beach, Crema Espresso has over 10 cafes across South East Queensland. Popular for their exquisite coffees, Crema Espresso is quickly garnering a reputation for fantastic food to match. Crema Espresso has reinvigorated their product offerings, adding a delicious new light meal option to the menu at all Crema Espresso franchise stores. The Insalata di Crosta is a fresh vibrant salad served on a crisp crosta base and can be customised with a selection of quality toppings. Consumer demand for fresh food is what inspired the latest Crema creation. “Customers come to our stores to meet family and friends and savour a coffee and light meal that is fresh and delicious,” said Managing Director Antony Forbutt. “We have let this influence both the atmosphere of our stores and our menus. The latest addition is a great example of the continued growth and renewal of the Crema Espresso brand. Crema Espresso are bringing a new modern, sophisticated look and feel to all eight of their coffee franchise stores. Established on the Gold Coast in 2004, Crema Espresso has launched a new store concept, breaking away from dark, and gloomy café decor trends. 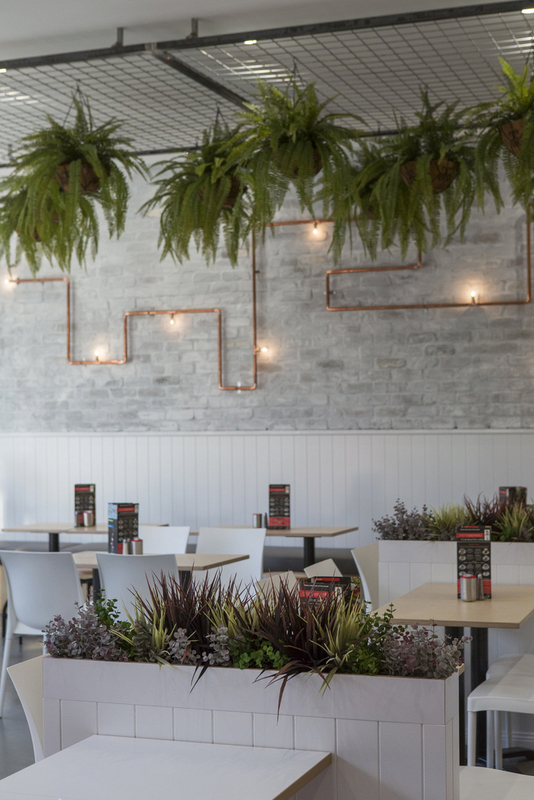 Crema Espresso coffee franchises are located throughout the Gold Coast and are continually looking for new areas and franchisees to deliver the company’s brand of premium coffee, light meals and modern sophistication. In 2011, Crema Espresso is offering an exclusive new franchisee support program to Crema Espresso franchise owners. The system offers invaluable information and support and has been created to provide Crema Espresso franchisees a closer look at their business and it’s future direction. “The program is a great way to ensure the profitability and sustainability of each Crema Espresso store and the Crema Espresso brand,” says Crema Espresso Managing Director, Antony Forbutt. Mr Forbutt will join with an expert in the franchise field to provide direction and support at each step of the newly founded development, monitoring and planning program.